This is my fourth word association game. 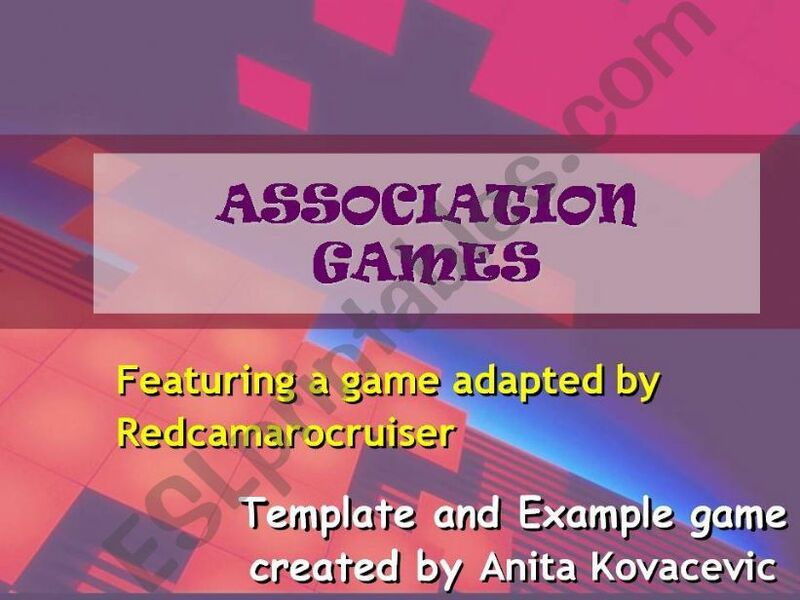 Using Anita KovacevicÂ´s idea for a word assiciation game and her game template, I created another word association game. Students guess a word by revealing clues and making free assiciations. Can serve as warm-up activity, review of vocabulary, or vocabulary. Past mystery words have been university, hotel, and amusement park. Please keep on sharing! I adore these!! !